MARILYN MANSON DISCOGRAPHY | Album, EP, Single and Home Video release artworks from each era of Marilyn Manson's discography. The band's 1994 major label debut of Portrait Of An America Family to present. MARILYN MANSON TOUR DATES | Archive of tour dates, performances, and special appearances of Marilyn Manson since the band's inception in 1989 to present and currently scheduled concerts. MARILYN MANSON LYRICS | Track by track lyrics of each of Marilyn Manson's album releases since the band's 1994 major label debut of Portrait Of An America Family to present. MARILYNMANSON.COM, ET AL. | Web archives of Marilyn Manson's presence on the internet from 1998, when MarilynManson.com was first launched, to present. 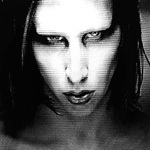 Included are as near complete archives as possible of each previous incarnation of MarilynManson.com, internet multimedia released by Marilyn Manson, hidden "sister" sites which chronicled stages of evolution throughout past eras as well as archives of Manson's own web postings on the Official site as well as other mediums. 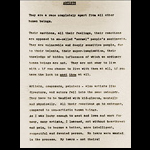 MARILYN MANSON ESSAYS, WRITINGS & WEB ADDRESSES | Writings and essays by Marilyn Manson which include pivotal media responses, key interviews as well as preamble and introductory web addresses to the online community. Included is Manson's "Columbine: Whose Fault Is It?" essay for Rolling Stone, the tenth chapter excerpt from Manson's unreleased novel Holy Wood, "Is Adult Entertainment Killing Our Children? Or Is Killing Our Children Entertaining Adults? ", "Marilyn Manson Remembers Hunter S. Thompson" Rolling Stone essay and much, much more. 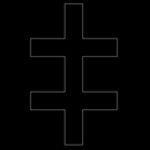 MARILYN MANSON OFFICIAL BBS POSTINGS 1998 - 2003 | Nearest complete archive that exists of Marilyn Manson's messages and posts to the Official Message Forums from 1998 to it's demise in 2003. Contained are various personal commentaries which range from levity to hints towards the looming new eras to hints at current inspirations to Manson's film and music recommendations.